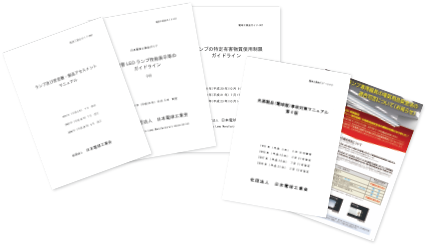 JLMA promotes the popularization and enlightenment activities for better lighting culture,the planning of standards,and the statistical survey activities,etc. 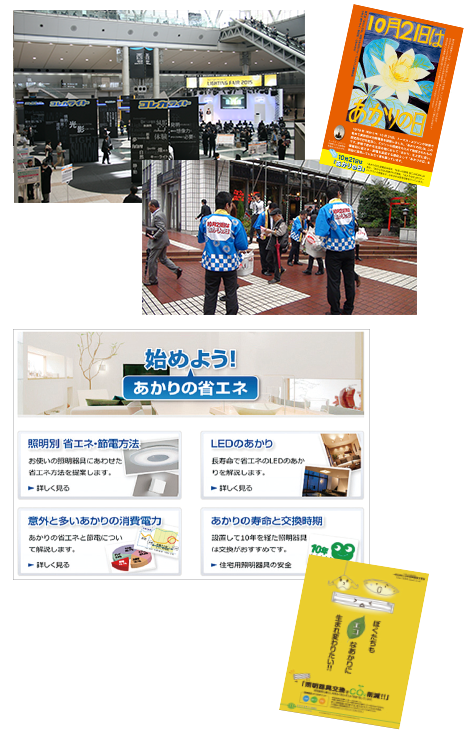 JLMA implements the popularization and enlightenment activities for better lighting culture through the provision of information on various products and the proper usage thereof to general consumers, news media, related organizations, etc. Provision of information on websites, bulletins, related journals, etc. In order to promote the environment countermeasures including energy and resource savings and the safety improvemment of products,JLMA prepares appropriate labeling rules and materials regarding performance and safety. 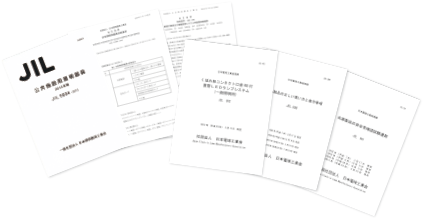 Preparation of JLMA`s standards (JEL, JIL), guidance books and technical data. JLMA collects and analyzes various information such as on production and distribution of lighting-related industries, and transmits the latest trends of lighting industries. 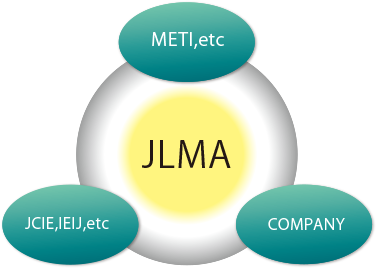 Establishment and revisions of JLMA`s standards (JEL, JIL), guidance books and technical data. Participation in the establishment and revision activities of related lows and regulations. JLMA participates in various activities of related organization,and builds cooperative relations with them.